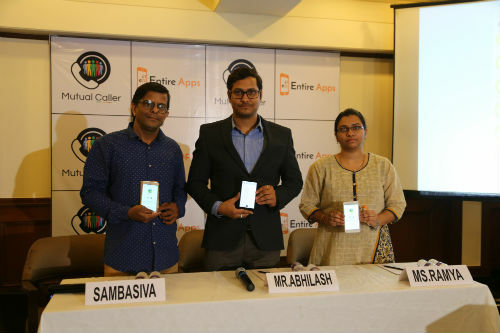 Hyderabad: Promising to elevate smart phone user experience, Hyderabad-based tech start-up Entire Apps launched mobile app Mutual Caller that offers solutions to two top issues confronting the global mobile community – unknown calls and access to mobile contacts data. “App users have nothing to worry if their phone is temporarily unavailable – either misplaced, damaged or dead battery – because they will continue to have access to mobile contacts from any mobile or laptop, anywhere in the world. The app’s Virtual Caller feature allows temporary reading of data on any device without importing it. This first-of-its-kind feature on Android apps eliminates data loss risk completely and thus ensures a stress-free mobile experience,” said Sambasiva Rao Munipalle, founder, Entire Apps LLP. Screening unknown Calls: Despite technological advances, unknown calls continue to pose a tricky problem to mobile users as currently there is no way to screen them. Mutual Caller addresses this issue squarely with its ability to instantly identify mutual contacts between the caller and receiver. This automatically splits Unknown calls into two categories – those with and without mutual contacts. In the first case, the app displays the number of mutual contacts and lists details of any two of them. Colour Code: Further, all unknown calls with mutual contact(s) are displayed in green, suggesting that the caller is a known contact using alternative number or someone known to (receiver’s) contacts. The app displays Unknown calls without mutual contacts in yellow, suggesting low priority and a cautionary approach. Calls from device contacts are displayed in White while spam numbers get the traditional red colour! Empowering Women: Mutual caller’s screening of Unknown calls based on existence of mutual contacts offers extra convenience to women in India. “Aware of the high incidence of harassment calls, women generally avoid all Unknown calls and in the bargain lose out on some important calls too. Now, for the first time, Mutual Caller applies call screening to Unknown calls, helping women separate the unwanted ones from the unknown calls. So, no more qualms for women over taking or rejecting unknown calls,” says Sambasiva. Mutual Caller’s colour code feature facilitates quick decision making. “Classification of calls accompanied by colour code is an effective combination and users can instantly decide on accepting or rejecting calls, matching Dhoni’s epic speed of stumping and his precision in DRS appeals,”Sambasiva added. 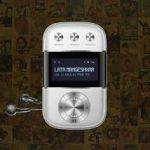 Light on Battery: Besides the unique differentiating factors, Mutual Caller offers other advantages like being light on the battery and easy user navigation. “The App will be both easy on memory space and light on battery. 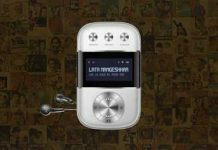 Its size is under 7 MB and battery consumption is minimal, making it an ideal choice for smart phones,”said Ramya D, business associate of Entire Apps. “Entire Apps strives to provide solutions with wider appeal and application and Mutual Caller definitely lives up to our vision. The app is currently made available in India and the US. Going forward, we plan to offer it in other countries in a phased manner,” added Ramya.